We're excited to announce that Spring Break Mini Camp is returning to Van Cortlandt House Museum this April! Scheduled to coincide with the New York City Public School's Spring Break, this shorter version of our popular Adventures in Time Summer History Camp is a great way to spend a few days learning more about the history of New York during the Colonial and Revolutionary War eras. Children can attend one, two, or all three daily sessions with each day bringing new activities. Registration is limited to 15 children per day and we expect to sell out. A registration form is available at the link below. You can also call Van Cortlandt House Museum to register over the phone. 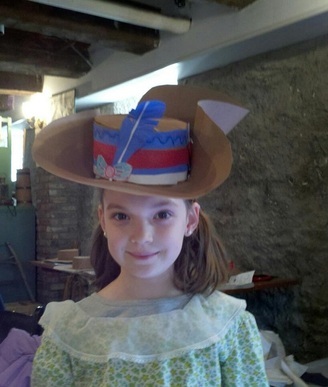 Click here for a registration form for Spring Break Mini Camp OR call Van Cortlandt House Museum at 718-543-3344.